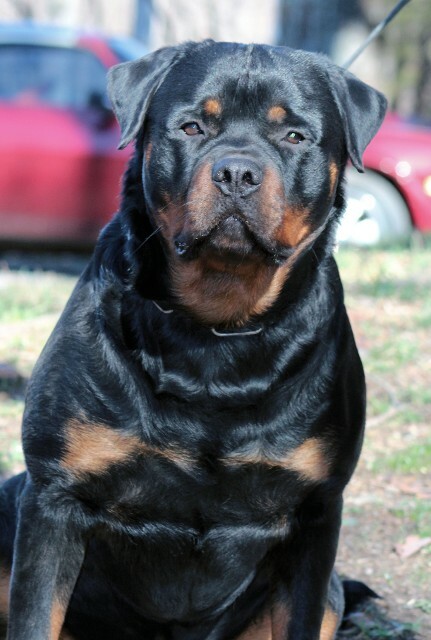 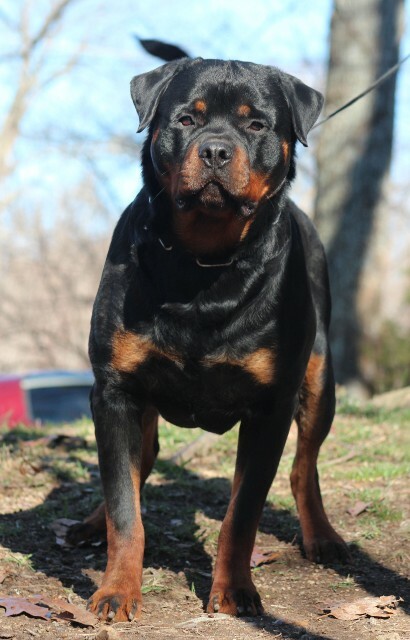 This Rottweiler male is drop dead gorgeous! 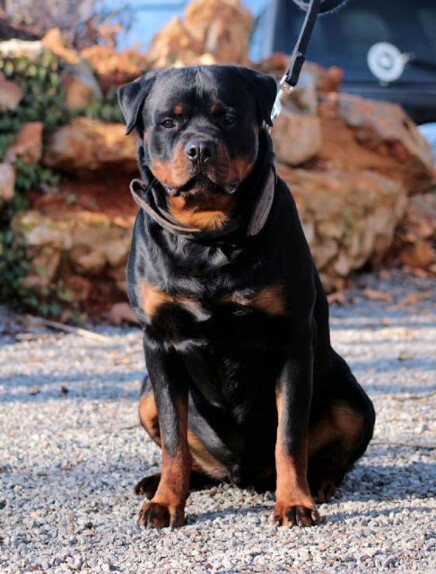 Balou is an amazing dog with an amazing temperament. 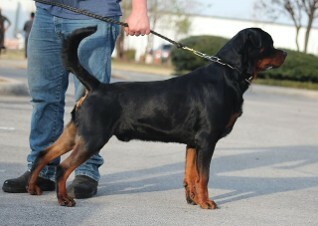 Bayou has a impressive look to him, a large block head, intimidating eyes, and beautiful color marking of red mahagony. 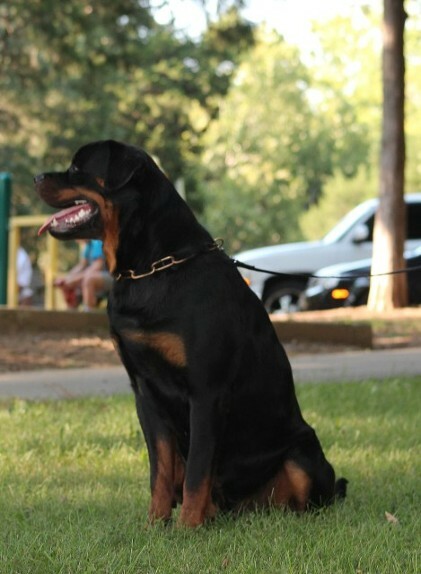 Balou also has excellent bone size and great structure for future litters he will produce. 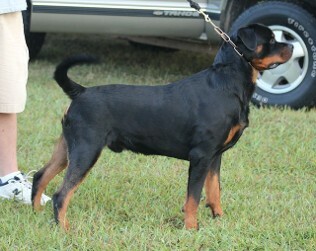 I believe when you see this Rottweiler male in person you will fall in love. 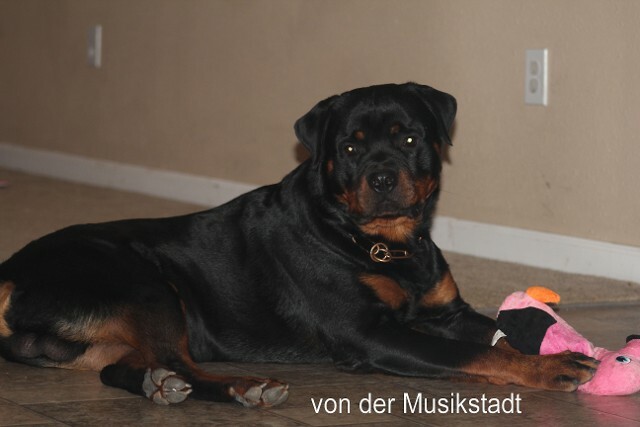 He has tons of energy and mountains of love to give! 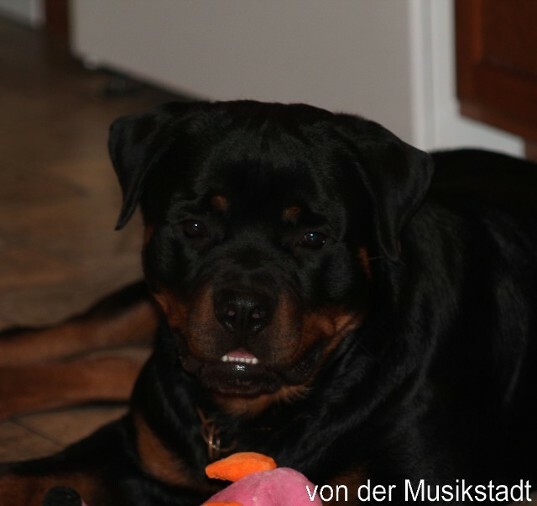 Don't let this large intimidating teddy bear scare you because you will regret it.